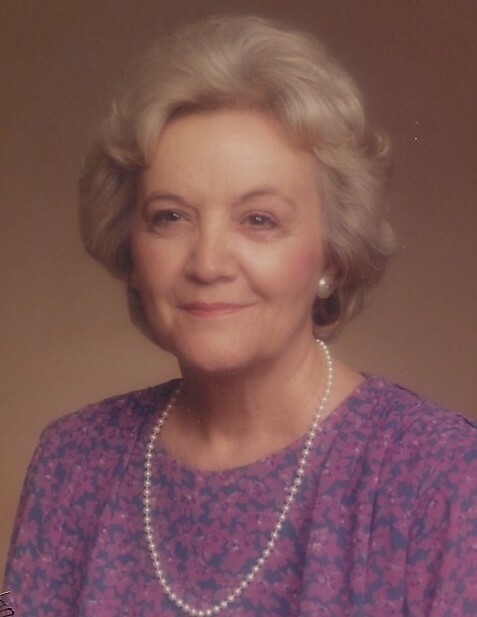 Elizabeth Louise Kinkade, age 98, passed away November 19th, 2018, at home in Hoover, Alabama. She was born on August 12th,1920, in Nashville, Tennessee. She is preceded in death by her husband, John C. Kinkade, Jr.; her parents, William Elbert and Maie Dell Nicholson; sister, Virginia Dare Nicholson; and brother, Sterling Russell Nicholson. She is survived by her daughters, Patricia G. Kinkade, Marcia L. Williams, and Teresa K. Richards (Greg); grandchildren, Brittney Miller, Brian Richey, and Claire Richards; and 5 great-grandchildren. Funeral service will be held on Monday, November 26, 2018, at 1:00 PM at Currie-Jefferson Funeral Home. Visitation will be held 1 hour prior to service.